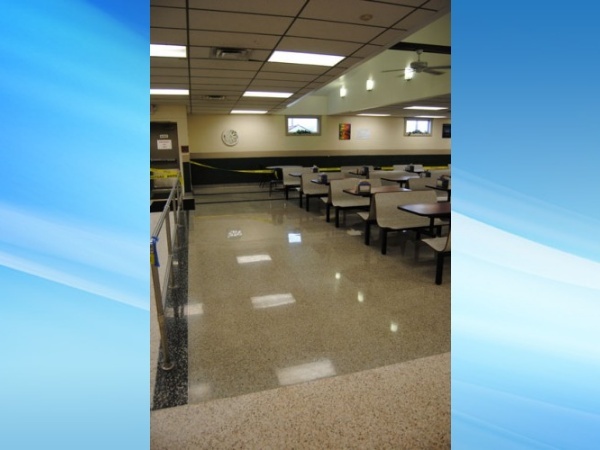 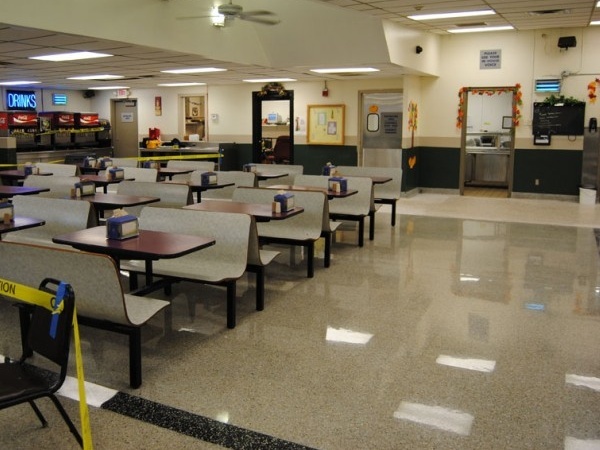 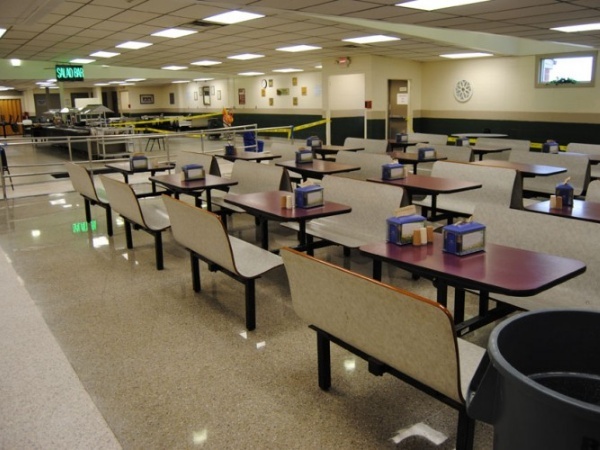 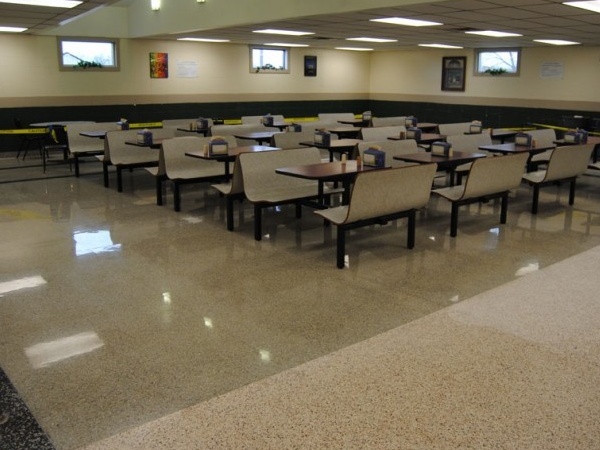 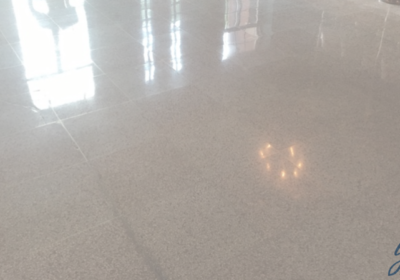 This terrazzo floor in the cafeteria at Camp Atterbury has been through some pretty rough conditions, so when it was time for a complete terrazzo restoration, they contacted Young Final Finish, LLC. 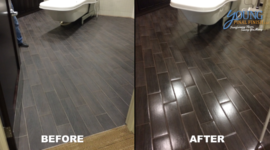 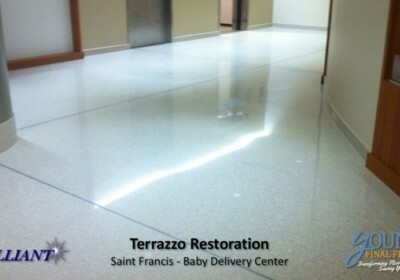 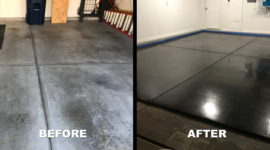 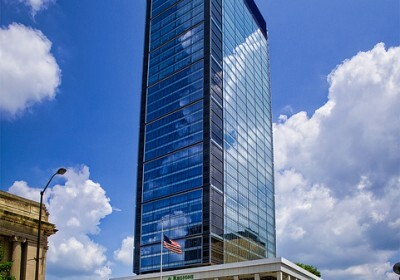 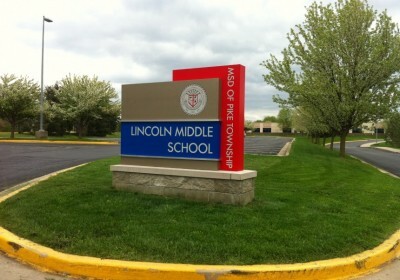 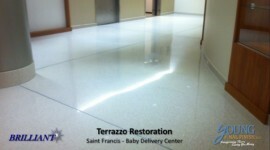 As you can see in the photos, the project was a success and we brought back that terrazzo floor polished shine through our unique vitrification process. 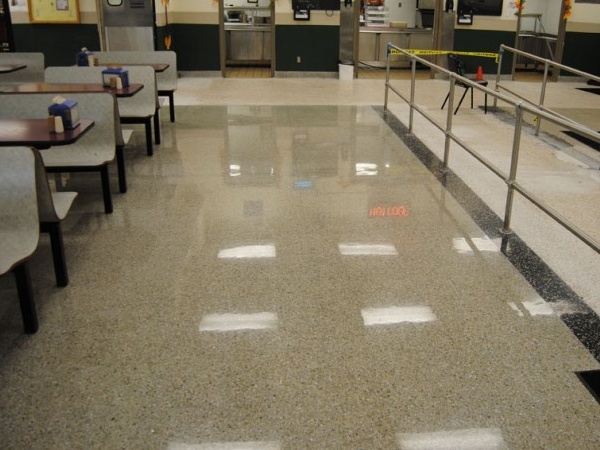 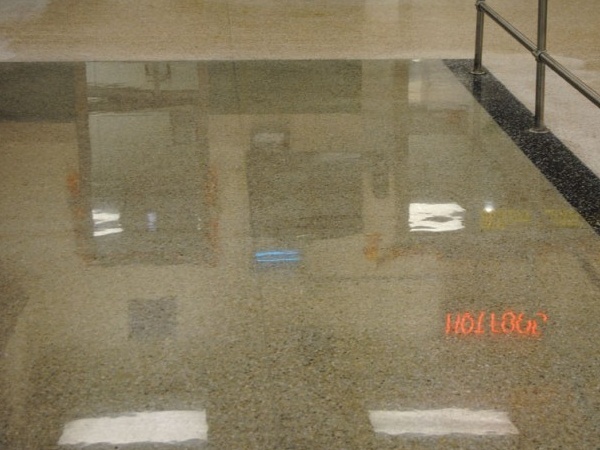 This floor will last the military base for many years to come and save a large amount on their terrazzo maintenance cost.